Cape Town - Newly-appointed Baroka FC technical director Doctor Khumalo wants to ensure sustainability at the club by focusing on youth development. 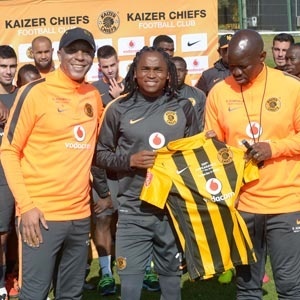 The former Kaizer Chiefs midfielder and technical team member on Thursday ended a 31-year stay with Amakhosi after it was announced he was heading for Limpopo top-flight club Baroka FC. The 50-year-old Khumalo says he's looking forward to the new challenge, and explains that he plans to emphasise the development of young players at the club. "The game is about venturing into challenges. You might look at a challenge and think it's difficult, but if you don't take those challenges, then you can’t gauge yourself to see where you are," the former Bafana Bafana star told the media. "The most important thing is working on the development. We need to dig out the talent. "It's not only about me going to Baroka to be the technical director, but it's about the bigger picture. I am there to make sure the development structures are in place." Earlier Khumalo explained in a radio interview that he parted ways with Chiefs due to the lack of opportunities received at the club he served with distinction for over three decades. "Honestly the only job I wanted at Chiefs was as a Technical Director of Football because of my qualifications, but it wasn't available. "When one chapter closes, another one opens. As a man you need to be brave and take decisions," Khumalo said.